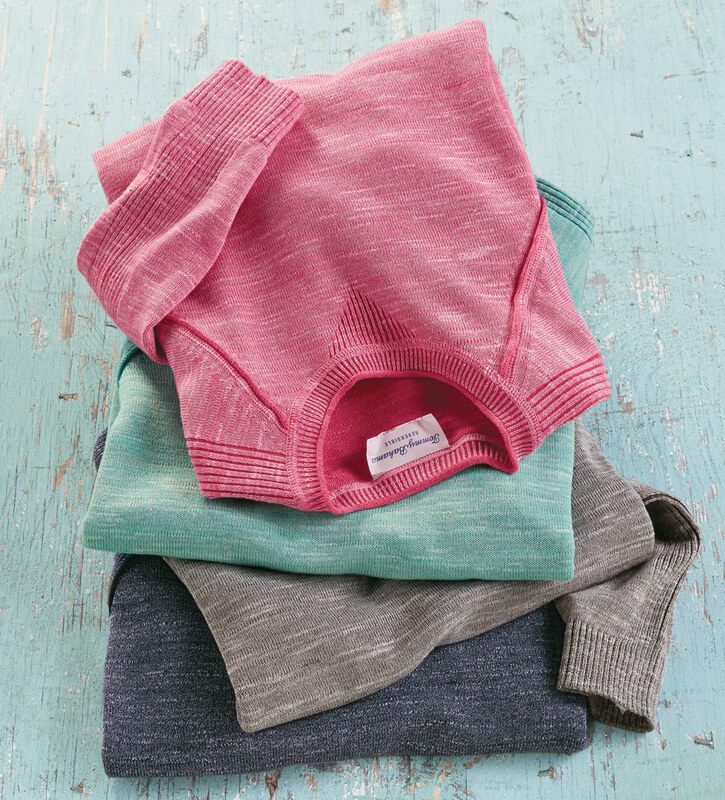 Cozy pullover with a lived-in look in cool, two-tone, 100% cotton, slub knit. Long sleeves, crew neck with V detail, jersey trim, ribbed cuffs and waist. Machine wash. Imported.